Phulchowki day hike from Godavari is the great selection of the bird lovers. Around 265 species of birds have been recorded in this hiking path including Rufous-bellied, Crimson-breasted Woodpeckers, Rusty-cheeked Scimitar-babbler and many more. Phulchowki is also popularly known as the Hill of Flowers in Nepalese community. Lots of flowers including Nepal's national flower Rhododendron can be found in this Forest. This is one of the most wonderful walking experiences in the outskirt of Kathmandu Valley to involve yourself in the natural beauty. 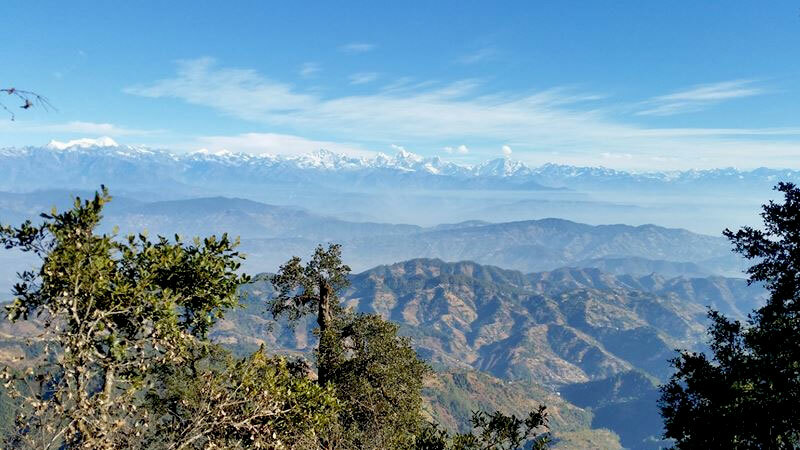 Alike, the mesmerizing views of the snowy peaks that range from Annapurna to the west, Langtang in the middle, and Everest Region in the east is yet another attraction of Phulchowki day hike. The journey begins with an hour of scenic drive from Kathmandu to the botanical garden called the Godavari. It is merely 14 km to the south-east of Kathmandu City. From here the day hike to Phulchowki Hill commences. We will hike gradually uphill crossing Oak and Rhododendron forest for approximately three hours. Afterward, you will be standing at an altitude of 2750 meters high above sea-level, the biggest hill station that surrounds Kathmandu Valley. During the month of February, in case it rains, Phulchowki will be covered by snow. After exploring the surrounding then walks descend back to Godawari where our vehicle will be waiting for our arrival. Then, drive back to Kathmandu. After finishing breakfast at hotel, our guide will pick up you and drive to the Godavari. The 14 km journey takes around 45 minutes drive. From here, we set on foot for the next five hours. Explore the wonderful botanical garden then walk gradually uphill to the hill station of Phulchowki. Three hours of hiking reach at the top of the hill and explore the views. Then, walk down and drive back to Kathmandu. Drop to your hotel and trip finished here! Kathmandu to Godavari and return by private car. Wants some modification on Phulchowki Day Hike from Godavari itinerary? contact us to customize it.